The Hydration Carrier is designed to attach to a vest with the use of MOLLE webbing and holds a 2.5 liter hydration bladder (NOT included). The exterior of the carrier is covered with MOLLE webbing for the addition of pouches for utility, magazines, radio, etc. Also, along the top of the carrier is a hook and loop panel for patches or a name tape. 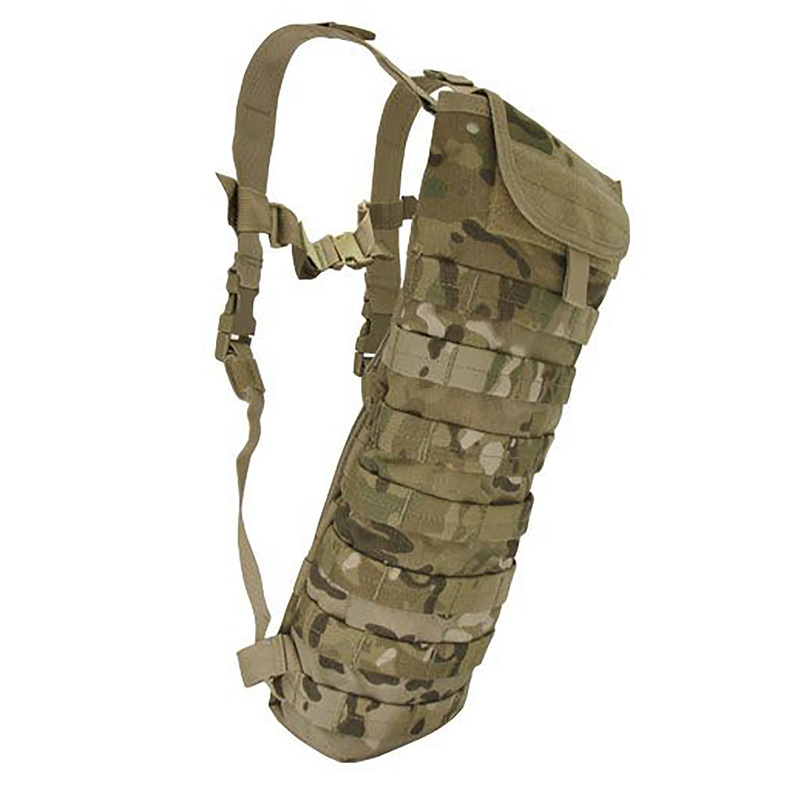 A hydration carrier is a great convenient alternative to carrying a canteen or water bottle.